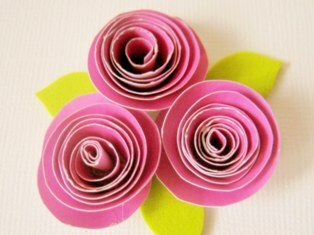 How to Make Paper Flowers. 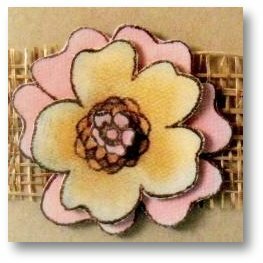 FREE Tutorial to Make Paper Flowers. 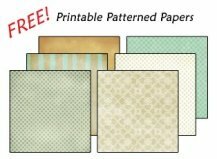 ♥ plain or patterned paper. Choose any three colors or patterns that you like. 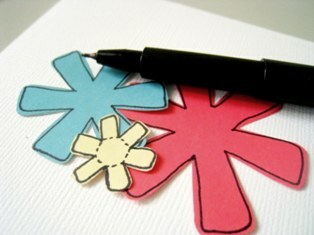 ♥ adhesives. I used double-sided tape for this. 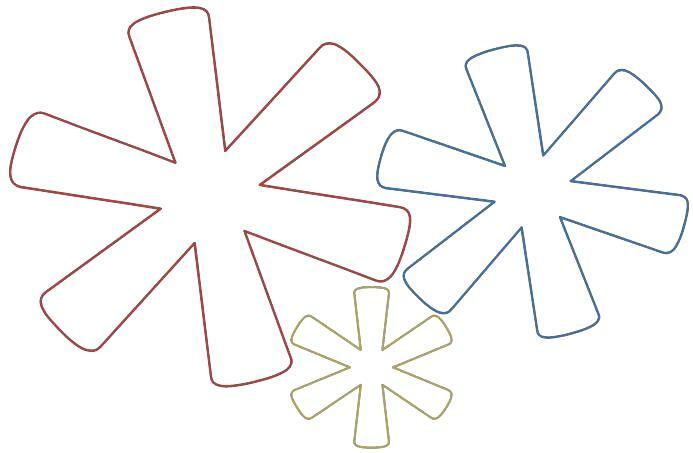 Step 1: This paper flower will basically make use of asterisk templates. Save the following templates on your PC. 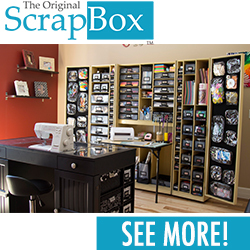 Simply right click on the image, click "Save as", choose your destination folder then click "Save". Step 2: Print the templates onto cardstock and cut out each pattern. Step 3: Using your trusty pencil, trace your patterns or templates onto your solid or patterned papers of choice. 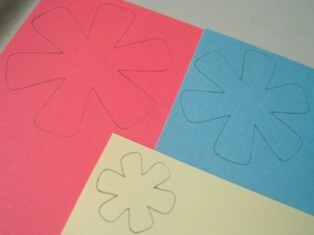 Step 4: Cut out the shapes. 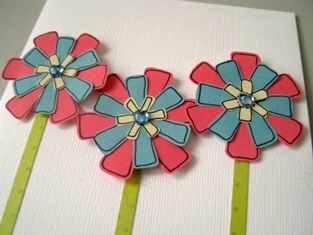 Using a quick-drying pen, trace or doodle around the edges to better define each layer of your paper flower. I simply traced around all edges but if you're more patient, broken lines or dots would look gorgeous! Step 5: Now for the fun part! Let's assemble! Starting with the biggest pattern, layer your cutouts one on top of another. Position each in such a way that the "petals" of the next pattern fall into the spaces in between the "petals" of the pattern before it. 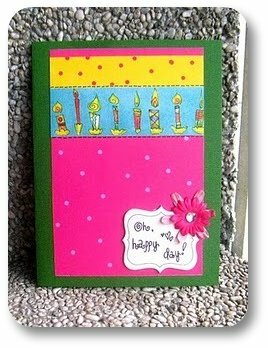 Secure each layer with double-sided tape at the center. 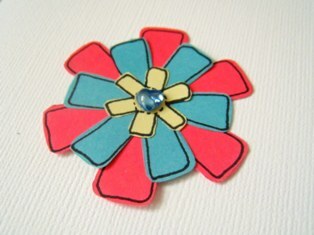 Step 6: Add in a gem sticker or a button for a gorgeous finishing touch! All done! That was pretty easy right? 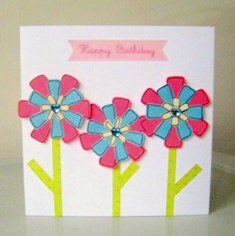 Learning how to make gorgeous paper flowers will definitely come in handy when making greeting cards. 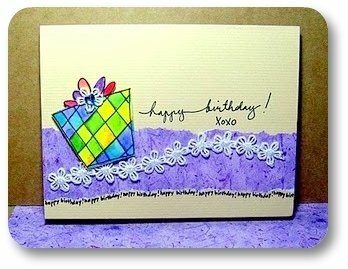 They're pretty versatile since you can use whatever patterned paper you used for your card to match your paper flower to your card's look and feel.